Logistics-technology firm Rivigo Services Pvt. Ltd has raised $35.6 million (around Rs 255 crore at current exchange rates) in a fresh round of funding from existing investors Warburg Pincus and SAIF Partners. The Gurugram-headquartered company secured this sum by issuing compulsory convertible preference shares (CCPS) to the private equity giant and multi-stage investment firm, show filings with the Ministry of Corporate Affairs (MCA). Warburg Pincus led the round with an infusion of Rs 150 crore while SAIF Partners accounted for the rest. TechCircle estimates show that Rivigo raised the fresh capital at a valuation of $947.8 million (Rs 6,784.05 crore), a little more than $50 million short of the coveted unicorn status accorded to privately-held firms valued at $1 billion or more. Rivigo’s valuation had soared to $900 million in its previous funding round, where it pocketed a Series D cheque of Rs 322.5 crore ($50 million then) from the same investor. In all, Rivigo has raised a little more than $200 million in external funding so far. It could not be ascertained whether the latest infusion was part of a larger funding round. However, earlier filings show that Rivigo had reclassified its share capital to provide for up to Rs 3,210.25 crore ($448 million) in fresh funding, assuming it raises more money at the current share subscription price. A Mint report last September stated that the company was looking to raise up to $400 million in a new round of funding. E-mail queries sent to Rivigo founders Deepak Garg and Gazal Kalra seeking clarity did not elicit a response till the time of publishing this report. Operating in the inter-city freight trucking space, Rivigo was founded in 2014 by Garg and Kalra. Garg is a graduate of Indian Institute of Technology-Kharagpur and was with McKinsey & Company before he co-founded the venture. Kalra, who studied at Stanford Graduate School of Business, also had a stint at McKinsey. One of the best-funded startups in the logistics-tech space, Rivigo offers pan-India delivery services to e-commerce, pharmaceutical, automobile, cold-chain and fast-moving consumer goods companies. Besides offering tech-enabled logistics services, Rivigo also owns a fleet of trucks. The company has suffered a couple of setbacks in terms of personnel over the past year. In October, TechCircle had reported that Kalra had resigned from the company’s board of directors. Likewise, TechCircle had reported last February that some top- and mid-level executives had left Rivigo. Rivigo posted operating revenues of Rs 692.6 crore for the financial year 2017-18, up from Rs 388.4 crore the previous year. However, net losses more than doubled to Rs 270.2 crore from Rs 123.4 crore in the previous fiscal. The significant rise in losses was on account of a higher total expenses, which stood at Rs 990 crore for 2017-18, up 86% from Rs 531.5 crore in 2016-17. Last month, SoftBank’s Vision Fund sought the approval from the Competition Commission of India for a proposed investment into logistics company Delhivery. Media reports had previously stated that Delhivery was looking to raise anywhere between $250 million and $450 million from potential investors, including SoftBank. TechCircle reported in December that LetsTransport, a tech-enabled logistics marketplace for intra-city deliveries, raised Rs 100 crore (around $13.5 million) in a Series B round co-led by Chinese conglomerate Fosun International and strategic investment firm Bertelsmann India Investments. 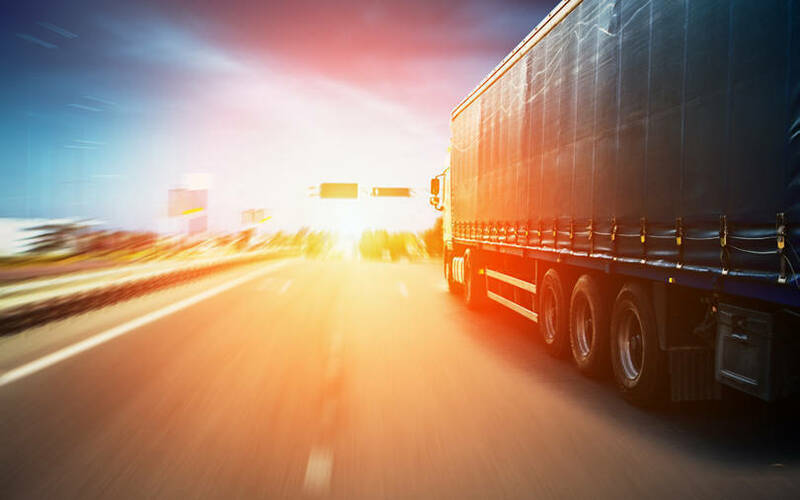 Before that, tech-enabled logistics startup Freightwalla raised an undisclosed sum from venture capital firms Kae Capital and San Francisco-based Tekton Ventures.